With the passing of the last great monk of the elder generations in 2006, Shaolin Monastery bade farewell to an era. The everlasting spirit of his heart and teachings, however, lights the path for his disciples and followers of the Dharma in his lineage today as they strive forward into this new age for Shaolin. 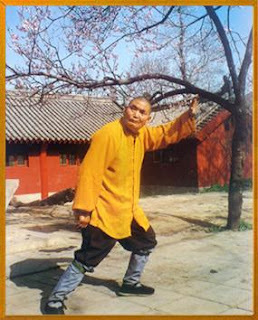 Shaolin Elder Shi Suxi (Chin. : Shì Sùxǐ Zhǎnglǎo 释素喜长老) lived a long and storied life. 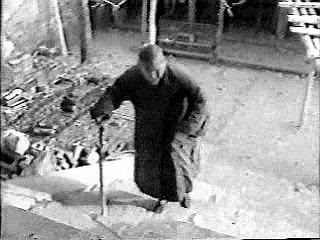 As the last monk to enter the temple before the Liberation (Chin. : Jiěfàng 解放 - referring to the Communists' victory over the Nationalists in 1949), he is a link to the teachings of the Qing Dynasty Shaolin masters. He experienced many tragedies and injustices, having lived through the tumultuous changes in Shaolin over the past half century. However, his devotion to the temple always kept him in close proximity, arduously protecting and defending its traditions- at times in secrecy. The following is the story of Ven. Shi Suxi's life, his devotion and great contributions to the Shaolin Monastery, for which we are greatly indebted to him. May this article do justice to his legend and inspire those now following the Dharma in his lineage to dedicate themselves to his wish for Shaolin culture to be genuinely maintained and spread- most importantly the philosophy and experience of what is termed "The Unification of Chan and Quan" (Chin. : Chán Quán Héyī 禅拳合一). Ven. Shi Suxi was born Geng Jinzhu (Chin. : Gěng Jīnzhù 耿金柱) on September 27th, 1924 of the Chinese Lunar Calendar to a very poor peasant family in a small village outside of Dengfeng (Chin. : Dēngfēng 登封) in China's central Henan Province (Chin. : Hénánshěng 河南省), not far from Shaolin Monastery. Half a year after his birth, his mother passed away. He was brought up by his father, a book seller who had a very good relationship with the monks of Shaolin and often received assistance from them when in need. However, one terrible winter when Geng Jinzhu was 11 years old his father froze to death in a grass hut. Afterward Jinzhu joined his cousins as they went begging for food. Often bullied and humiliated, they had no other choice. You will recover from your illness. You will become a Buddha at Shaolin. chéng fó zài shàolín 成佛在少林)"
The place for Dharma practice was lost. (Chin. : zhòng sēng hènnù fǎ wúyuán 众僧恨怒法无缘)"
The temple halls will be even more brilliant next year. (Chin. : míngnián qún diàn gèng guāngcǎi 明年群殿更光彩)"
Master Zhenxu was astonished at the words of the young boy and accepted him into the temple. By the time Geng Jinzhu was 11 years old he had already lost both parents and become a beggar. Yet because of his parents' Buddhist devotion and close relationship with the mon ks of Shaolin who kindly assisted their family, he had an early faith in the Buddha. Naturally, Shaolin Monastery is where he ended up. He first entered the temple in 1936 at the age of twelve. Master Zhenxu later ordained him as a young novice monk (Chin. : xiǎoshāmí 小沙弥) in the temple and gave him the 30th generation Shaolin Dharma-name Shi Suxi (Chin. : Shì Sùxǐ 释素喜), a name which means simply "Plain Happiness". In 1942 at the age of 18 he was sent to the city of Xi'an in Shanxi Province (Chin. : Shǎnxīshěng Xī'ānshì 陕西省西安市) to receive the full Bhikshu precepts (Chin. : jùzújiè 具足戒) at the Daxingshan Monastery (Chin. : Dàxīngshànsì 大兴善寺). After undergoing full ordination he then returned to the Shaolin Monastery to continue his Buddhist study and practice. At that time it was his duty to chop wood, fetch water, and perform various tasks around the temple. Master Zhenxu watched as the young Suxi worked everyday. He noticed the natural patience he took in performing each task, as well as his good-natured conduct, and kind regard for others. Thereupon, he decided to begin teaching him the Warrior Skills of Shaolin (Chin. : Shàolín Wǔgōng 少林武功). In fact, many of the monks in Shaolin liked him so much that they often struggled with each other for the chance to pass on their knowledge to him. Ven. Suxi became a living encyclopedia inheriting the Shaolin Wugong of the Qing Dynasty masters. His knowledge included numerous empty-hand and weapon sets, as well as more rare Shaolin arts, such as finger-pressing vital points (Chin. : diǎnxué 点穴). He was also the last monk of elder generations to master the art of Arhat Buddhist-Rosary Skills (Chin. : Luóhàn Fózhūgōng 罗汉佛珠功). His great determination in study and practice over the decades earned him the nickname "Shaolin Boxing King" (Chin. : Shàolín Quánwáng 少林拳王). Between 1960 and 1962, Ven. 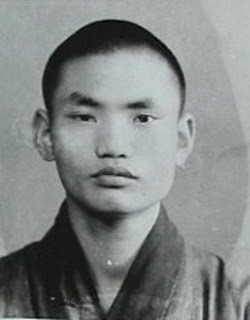 Suxi was the number one Buddhist student in China and was selected to be sent to Beijing for formal education at the Beijing Buddhist College (Chin. : Běijīng Fóxuéyuàn 北京佛学院). After graduation he returned to Shaolin Monastery where he became the wugong drill master (Chin. : wǔgōng jiàotóu 武功教头). All the while he thirsted for knowledge to develop Shaolin Wugong further. He invited many Chinese Boxing masters (Chin. 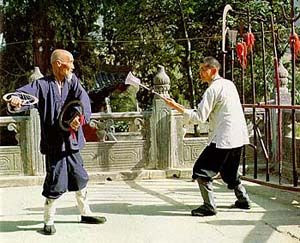 : quánshī 拳师) of various styles to share and compare their skills in order to develop and spread Shaolin Culture (Chin. : Shàolín Wénhuà 少林文化). Hardship always produces an expert. (Chin. : kǔ héng chū gāoshǒu 苦恒出高手)"
In December, 1944, Japanese armies stationed themselves in Dengfeng and blocked off all entrance roads to the city. The Shaolin Monastery was also caught up in the terror. The Japanese Captain lead 30 soldiers into the temple numerous times to harass the monks, steal cultural relics, and destroy the Buddhist statues. 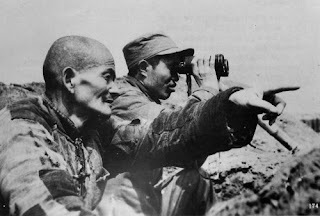 At that time the anti-Japanese soldiers of General Pi Dingjun (Chin. : Pí Dìngjūn Jiāngjūn 皮定钧将军) were nearby. 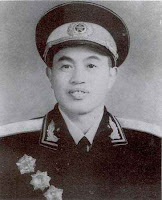 General Pi Dingjun sent the party member Wei Nianming (Chin. : Wéi Niànmíng 韦念銘), disguised as a teacher opening a school, to be stationed in Shaolin. In February of the following year, on an early morning while the monks of Shaolin were in the Thousand Buddha Hall (Chin. Qiánfódiàn 千佛殿) attending their morning rituals, the Japanese army of 60 or more men set off from the city to encircle and destroy the temple. Communist party member Wei Nianming was in the temple recovering from an illness. Ven. Suxi carried him on his back to escape with the other monks to a mountain peak to hide him, only to realize the enemy soldiers had already completely surrounded them. Wei Nianming gave his handgun to Ven. Suxi and ordered him to resist. Suxi took the pistol, standing on top of the peak and fired three shots down into the ravine. Immediately the other monks began throwing stones down the mountain, causing the Japanese to retreat. Between the years 1959 and 1961, Dengfeng experienced a three-year drought. Without anything to eat, many monks returned to secular life. Only Ven. 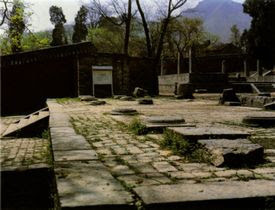 Suxi and 16 other monks remained to watch over the temple. As the situation of the drought worsened the monks began to leave one by one. If Ven. Suxi and a few others had left as well, Shaolin quite possibly would have ended then. During the period of the Cultural Revolution (Chin. : Wénhuà Dàgémìng 文化大革命 - 1966-1976) many Red Guards (Chin. : Hóngwèibīng 红卫兵) came to destroy the temple's Buddhist statues and burn the Sutras. Ven. Suxi was seen as a large landowner (Chin. : dàdìzhǔ 大地主), and was thus pulled out almost each day to suffer public criticism and humiliation (Chin. : pīdòu 批斗) at the hands of the Red Guards for his "crimes". There are many well-known stories of those times told around Shaolin these days. People speak of how the area was in chaos and anyone could tamper inside the temple. Once there were even some young schoolgirls who pulled Ven. Suxi out for public denunciation, proving his "crimes". They beat him until he had cuts and bruises, but the "Shaolin Boxing King" never used his skills to defend against their attacks and fight them off. Rather, he calmly endured his treatment until he could hide in the restroom long enough for them to give up and leave as the Red Guards moved on. During this time there were many young children who would come into the temple and play around, damaging the murals and statues with rocks and sticks. Ven. Suxi covered the walls and statues with his body to shelter them from the attacks. Of course, he was hit with the flying stones and struck with the sticks, but he protected the Buddha's image, as was his only duty. Afterward some people asked him why he didn't use his wugong ability to resist or threaten the Red Guards and children. He said; "One- they are children and are not sensible. Two- our wugong is used to strengthen the body and keep healthy, to develop virtue and discipline evil. Three- a Buddhist should treat people with tolerance." In order to protect the cultural relics from future damage and loss, Ven. 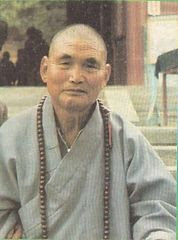 Suxi assisted the then honorary abbot of Shaolin Monastery, Ven. Shi Dechan (Chin. : Shì Déchán 释德禅), in distributing a portion of the Sutras and inscribed tablets to each of the monks, ordering them to memorize them completely- even so far as the calligraphic style used to write them and their dates. It all had to be memorized accurately. That way after all had passed they could be recovered. After reciting and memorizing, the monks then buried the texts and statues underground. All the injustices Ven. Suxi lived through taught him something very sweet- a line he often repeated; "Toleration is like jackfruit" (Chin. : rěn rǔ bōluómì 忍辱菠萝蜜). If you exercise forbearance, after the event you will discover it is like eating the sweetest fruit in the world- jackfruit. During his life in the Shaolin Monastery, before the Liberation and after, Ven. Suxi came out to act as abbot of the temple for a total of five times. Acting as abbot in such periods of turmoil was difficult, especially as he aged and became increasingly weak. He couldn't bare such heavy responsibilities. As the leader of the temple he had to suffer many public humiliations during the Cultural Revolution. However, he never complained. He always stood straight and did only as he knew to be his duty. In the time of the great drought he was duty-bound not to turn back as many others returned to secular life. With nothing to eat he lead the remaining monks to farm the land between the temple and the Pagoda Forest (Chin. : Tǎlín 塔林), so as to remain in Shaolin, to protect the temple and rely on themselves. He taught them where to find edible herbs and tree bark. At times he nearly starved to death, because he gave his food (tree bark) to others. However, his Chan meditative skills sustained his life through the hardships as he led the other monks. The fourth time Ven. Suxi came out to act as abbot was when Shaolin had just begun to recover. The government had begun to help restoration in 1974, but the process was moving slowly. Ven. Shi Xingzheng (Chin. 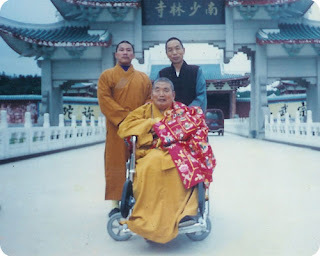 : Shì Xíngzhèng 释行正), the 29th official abbot of Shaolin Monastery had gone to Beijing. The first day leading the temple this time, Ven. Suxi lead the monks straight to work, laboring to rebuild the temple. In 1990, he took lead as acting abbot for a fifth time. By then the temple life and study had begun to return to normal, but the reconstruction of the temple was in a mess. He first got to work on the Dharma Hall (Chin. : Fǎtáng 法堂), Bell and Drum Towers (Chin. : Zhōng Gǔlóu 钟鼓楼), hardening of the pavement in the temple, and restoring the rest of the buildings of the temple compound. What makes Ven. Suxi's story so much more inspiring is that through all the chaos he experienced, there was also physical illness to deal with. At the very young age of 30 he suffered a stroke. It was later diagnosed as Parkinson's Disease. In 1983 nearing the age of 60 he began to fall ill, losing some movement and coordination in his legs and feet, but he still persisted in his practice of Shaolin Boxing, and even got together with Ven. Dechan and others to form the "Group for the Excavation & Systematization of Shaolin Martial-Arts" (Chin. : Shàolín Wǔshù Wājué Zhěnglǐ Xiǎozǔ 少林武术挖掘整理小组). As head of the group he dug up, collected, and arranged previously lost Traditional Shaolin Wugong skills including boxing methods (Chin. : quánfǎ 拳法) and sets (Chin. : tàolù 套路). He then compiled them into published texts such as the "Secret Transmissions of Shaolin Boxing" (Chin. : Shàolín Quánshù Mìchuán 少林拳术秘传). In 1987, Shaolin Abbot Shi Xingzheng passed away. Six years later, in 1993, the honorary abbot Shi Dechan passed away. At that time Shaolin Monastery had established a Regulatory Commission (Chin. : Guǎnlǐ Wěiyuán Huì 管理委员会) which Ven. Suxi was to lead. However, in the 90's his medical condition began to worsen and he had to step down. His Parkinson's Disease was advancing. He lost most control of his right arm and had trouble with speech. 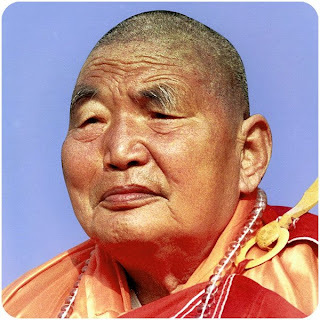 However, as if no external factors could affect his spirit, he continued to live on in "plain happiness", like his Dharma-name, welcoming this attacking disease with a smiling face and treating the world with tolerance, kindness, and compassion. Over the years Ven. Suxi accepted many people as secular disciples of Shaolin tradition. It is said his disciples may be over 30,000 in total, coming from every province in China, and everywhere around the world. His closest monk disciples include Master Shi Deyang (Chin. : Shì Déyáng 释德扬) who was first among them. The great and accomplished masters Shi Deqian (Chin. : Shì Déqián 释德虔), Shi Dejian (Chin. : Shì Déjiàn 释德建), and Shi Deru (Chin. : Shì Dérú 释德如) are also elders in the family. In the early years of the 21st Century, Ven. Suxi along with his top disciple, Master Deyang and some 20 warrior monks (Chin. : wǔsēng 武僧) traveled to Fujian Province (Chin. : Fújiànshěng 福建省) to reinstate the Southern Shaolin Monastery in Putian (Chin. : Pútián Nánshàolínsì 莆田南少林寺). This temple became a second home to Ven. Suxi and nowadays, owing to his great contributions, the Putian Southern Shaolin Monastery is fully functioning with monks carrying on the Shaolin cultural traditions. In 2002, the Shaolin Monastery, lead by his disciples constructed a pagoda for him in the Shaolin Pagoda Forest. It is an immense honor for a monk to have a pagoda built for them while they are still living. This was also the first time it had been done in over 200 years. The pagoda depicts the many eras in world history that he lived through, including pictures of the train, plane, boat, car, camcorder, and computer. There is also a stone tablet with the names of his closest disciples and some of their disciples' names as well, showing the spread of the Dharma through his lineage today. The Pagoda Forest is today a Cultural Heritage site which is being preserved. Ven. Suxi's pagoda will be the last one to enter. In 2004, there was a huge celebration at the Shaolin Monastery for Ven. Suxi's 80th Birthday. The area was teeming with monks, disciples, and laymen and women from all over the world there to celebrate this one man's life. Although to him, he is only an ordinary Buddhist monk and all he ever did was his duty as such. At the celebration people were given rare monk bags dedicated to his 80th birthday, a dvd of his life and legacy, as well as a miniature replica of his pagoda. He spent over 70 years dedicated to the protection and propagation of the Traditional Shaolin Culture, during which time he reestablished Shaolin Monastery with its cultural traditions which include Shaolin's "Three Treasures" (Chin. : Shàolín Sānbǎo 少林三宝) (i.e. : Chan Buddhism, Wugong, and Traditional Medicine (Chin. : Chán, Wǔ, Yī 禅武医)). His disciples are spread far and wide and he has entrusted the Shaolin Tradition to be inherited and passed on down to the next generations through close disciples such as Master Deyang. In the last closing chapter of his life and legacy, Shaolin began enjoying a wonderful flourishing period once again. If he had given up like many others when it counted most, when it was most difficult, Shaolin would surely not be here today. On February 9th, 2006 of the Chinese Lunar Calendar, Ven. Suxi passed away (Chin. : yuánjì 圆寂) after 82 years- 70 in service to Shaolin. Words cannot express the magnitude of his contributions to Shaolin and to the world, but his legacy lives on in those who earnestly practice upholding his teachings "without pause". "Shaolin is Chan, not Quan"
Can you elaborate on Ven. Suxi's last words "Shaolin is Chan, not Quan?" My understanding of Chan is the practice of awareness, and Quan as the practice of compassion. Is this correct? Simply, Quán (拳) here means "boxing" and refers to the Wǔgōng (武功) tradition of Shaolin. Chán (禅) refers to the spiritual teachings of the Chinese school of Chan Buddhism (Chin. : Chánzōng Fójiào 禅宗佛教) which point directly to the Original Nature (Chin. : Běnxìng 本性). Compassion (Chin. : Cíbēi 慈悲) is inherent in Transcendental Wisdom (Chin. : Bōrě 般若). They are non-dual essence (wisdom) and function (compassion). In short, Chan is the practice of transcendental wisdom (Sanskrit: prajñā) in which all other awakened qualities are inherent. What Ven. Suxi was reminding everyone of, in my understanding, is the fact that Shaolin practice is Chan, not Quan- i.e. not merely punching and kicking. After all, once we grow old we will be unable to practice Wugong. It is only a tool. We should know not to rely on things subject to production and extinction, much less neglect cultivation of Chan in favor of empty martial arts practice. I believe this is the main point. Hopefully this interpretation is not too far off Ven. Suxi's meaning. Thank you for your explanation! It makes perfect sense. Do you see quán as a mean equal to the means that helped the Bodhisattvas in Surangama Sutra (楞 嚴 經) to find "enlightment"? The Bodhisattvas who stepped forward in that Sutra entered through one or another of the eighteen realms (十八界). Shaolin Wugong is a tool, like a key. Which door lock it fits, if any, will be completely personal. In Shi Yongxings curriculum vitae (as published on the temple’s webpage as well as in other chinese sources) there is written that after Shi Xingzheng had died in August 1987, Shi Yongxin became the leader of the Shaolin Temple Management Committee (少林寺管理委员会) or Shaolin Temple Compound Democratic Management Comitee (少林寺寺院民主管理委员会) and as such the leader of the temple. Some sources emphasized that he was at that time the youngest monk in China having the task of leading a temple. How does this fit to what you are writing: that in 1993 Shi Suxi was leading this commission or committee and that the time before Shi Dechan was honory abbott. What was with Shi Yongxin during this time? Was he having a leading role in the temple or was he still aspiring it? Do you have any further information ? omituofo. This is actually a rather complicated topic. Nothing in Shaolin is ever so simple and straightforward. I also expanded a bit more on the Three Lineages of Shaolin article. There is of course a lot more to it. If you want to email me we can continue on the topic. Does anyone know what happened to Shi Deyang?